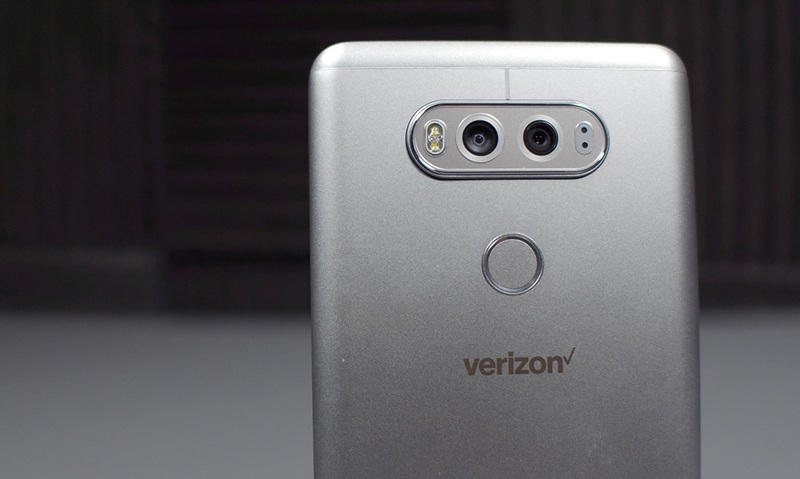 Earlier in the week, when no one was paying attention because Samsung was on the verge of announcing the Galaxy S8, Verizon quietly announced a new service it plans to begin pushing to its Android devices. AppFlash is its name and so far the service is raising some eyebrows over its collection of data, but also because it’s another piece of garbage bloatware that no one was asking for that will be used to further line Verizon’s pockets. UPDATE: The EFF is now backing down from calling AppFlash “spyware.” They have now retracted their post that gained a bunch of headlines today. And that’s probably the right thing to do, since this is really just garbage bloatware that has privacy concerns, not spyware. Either way, it’s a bad service that Verizon should not include in their smartphones. Let’s back up a second, though. What exactly is AppFlash and how will it get on your phone? 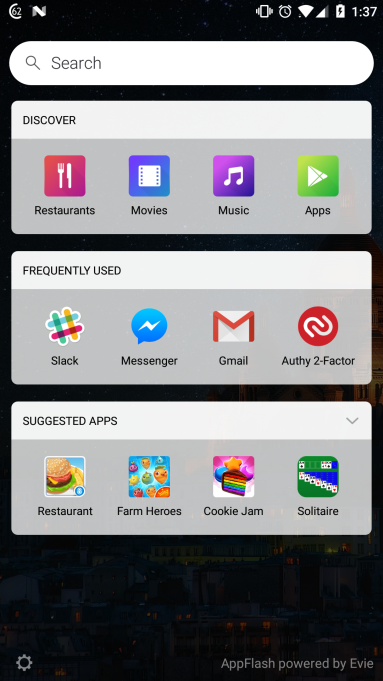 The service was created by the folks who made Evie Launcher, a launcher that seems to be getting lots of play lately, thanks to Google recommending it. Evie Launcher is able to universally search within your phone, including within apps. It’s a slick search tool, which Verizon sees value in likely as an advertising platform. Verizon plans to use this technology in a dedicated home screen panel that will allow you to search, potentially within your own apps, but also in order to help you discover additional apps while recommending others at the same time. Those last few parts are where everyone here outside of you makes money knowing everything about you. The images below show how this setup will look. Through statements made to TechCrunch earlier in the week, Verizon made it sound like AppFlash was going to be a future piece of their Android phones. 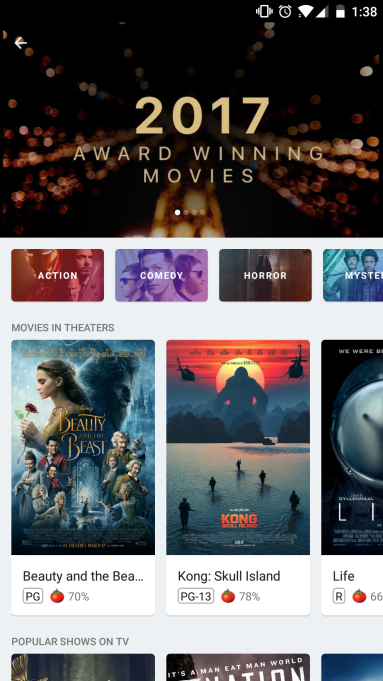 In fact, their director of product management, T.J. Vitolo, said specifically that his priority was to have AppFlash used by a mass audience. So the spin now is that Verizon is only testing it and that AppFlash is on a single mid-tier phone at the moment. Of course, no where does that statement say that they aren’t still planning to try and slap AppFlash on your next flagship phone and all phones in 2018. Thankfully, they are calling it an opt-in service that requires approval by you in order for it to track everything about your life. It better stay that way and it better not be through a single easily-skippable checkbox that no one pays attention to during initial setup. If Verizon starts loading this garbage on additional phones, we’ll be sure to let you know. We’ll also be sure to remind you over and over again that you should disable it. Finally, the folks at Evie Launcher likely want to sell this service to everyone because there are big bucks in sneaky advertising and privacy invasion with wireless carriers. Don’t be shocked if this ends up at your carrier of choice. Cheers John, Tim, and Michael!